Sasha celebrated her birthday at the beginning of the month and I of course got to decorate her cake. 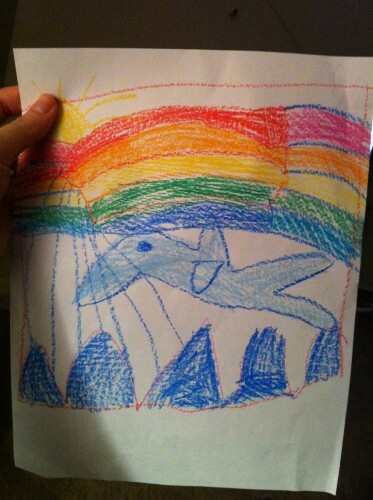 In January Sasha drew me a picture of what she wanted her cake to look like. It was so fun to get back into the kitchen and make something again. I absolutely LOVE celebrating the girls’ birthdays especially now that they have strong opinions about their cakes. It is my job to make their dream cake a reality. 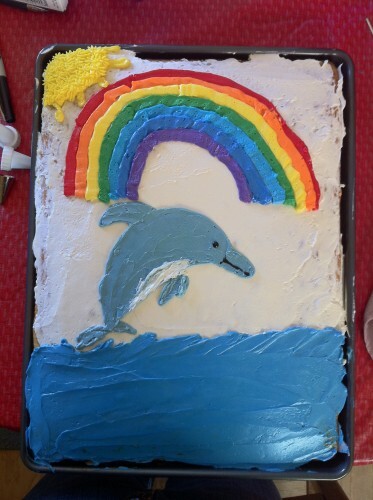 She wanted a dolphin cake (one of her favorite animals) with the dolphin jumping out of the water with a rainbow over it. My attempt at turning her dream cake into reality. Sasha really wanted to use Funfetti cake mix for her cake. I used my Swiss Buttercream recipe for the frosting, and AmeriColor Food Gel to dye the frosting. 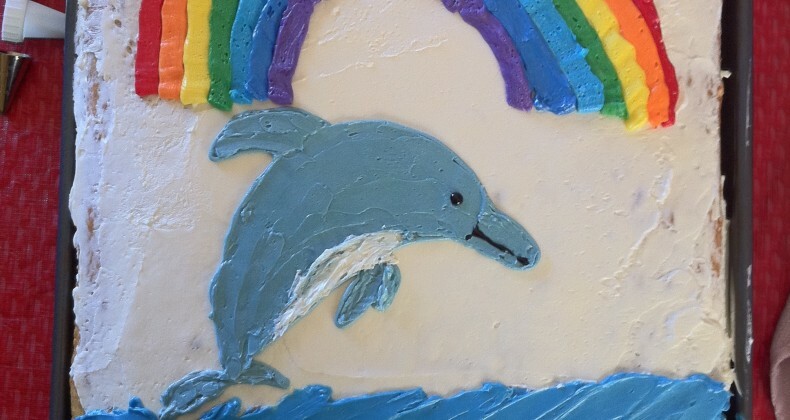 I am excited to see what Penelope wants her cake to look like. We have until October and she is already talking about it! You officially have the cake duty for dad’s birthday!